Creating a working environment that is collaborative and that includes every employee's contribution is a challenge many businesses have been striving to achieve. 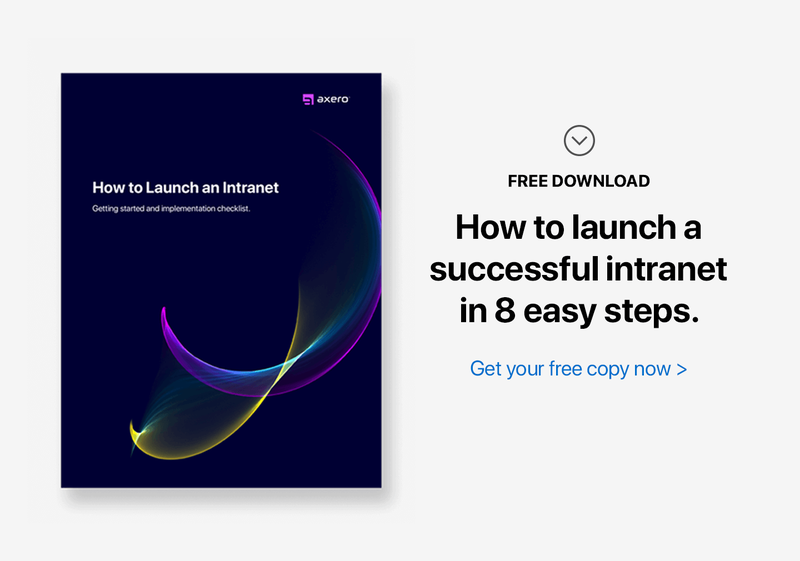 In this quest, intranet software has been one of the most effective solutions in enabling this connected collaboration. Intranets bring about transparency in daily working, they encourage participation, and they allow people to contribute to the business without the common boundaries that prevent this kind of connected culture. We've talked about how intranet software can help improve communication and make project management more efficient. But there is one small feature, which as small and often insignificant as it may seem, has the power to use a platform like this to make everyone’s opinions count and create a working culture where each decision counts. Polls & surveys within your company intranet can be used to create organization wide surveys and gather opinions on just about any decision needed to be made. Meetings, phone calls, and emails with groups of people can be time consuming. It's just easier to exclude them and make decisions unilaterally. However, that isn’t always the best way to do things. Ideally you should be getting people involved, basing these decisions on multiple views and other peoples input. Within your employee intranet, since everyone is already in one place, it's easier to put ideas to vote and consider everyone's views before making decisions. This kind of an environment is not just about having a democratic business process. It creates a participative culture where each employee knows their contribution is valued and considered in the working of the business. It reduces barriers between departments, positions, and levels. And it creates the feeling that everyone is important to the business and decisions are made with them contributing in some way. In the long run, this can create a good working atmosphere and reduce employee turnover. All things being equal, everyone would prefer working in an environment where they can play an important role and their contribution counts for something. Polls may not always be used to their full potential. But when they are, they could change the way you work.